Eminent journalist and media personality of the country Nadeem Qadir on Monday joined the Daily Sun as its Consulting Editor. Qadir brings with him years of experience of working with the international media, including Agence France-Press (AFP), Reader’s Digest magazine, BSS and Press Trust of India (PTI). 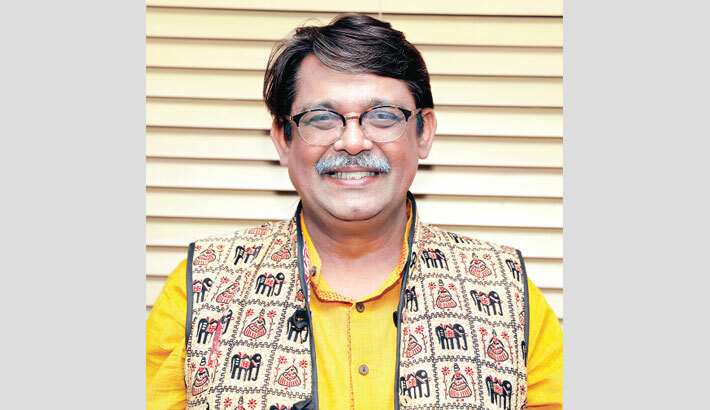 He has worked for television channels as an anchor and news presenter, starting from Ekushey Television to ATN News, and as Consulting Editor for the Kolkata-based TV South Asia. Nadeem Qadir is so far the only Bangladeshi journalist to have won the prestigious UN Dag Hammarskjold Memorial Fellowship. During his chequered media career, the eminent journalist worked with many local Bengali and English media including the BSS and the Asian Age as Roving Editor. Besides, he worked as Minister (Press) at the Bangladesh High Commission in London, the UK. His father – Lt Col M Abdul Qadir – is a martyr of the 1971 Independence War after whom the Qadirabad Cantonment in Natore is named. His mother – late Hasna Hena Qadir – was a founding member of the Ekatturer Ghatok Dalal Nirmul Committee. He did his graduation and post-graduation from University of Dhaka in International Relations. The noted journalist has six books to his credit and writes columns for several publications.